Here’s what I bought. 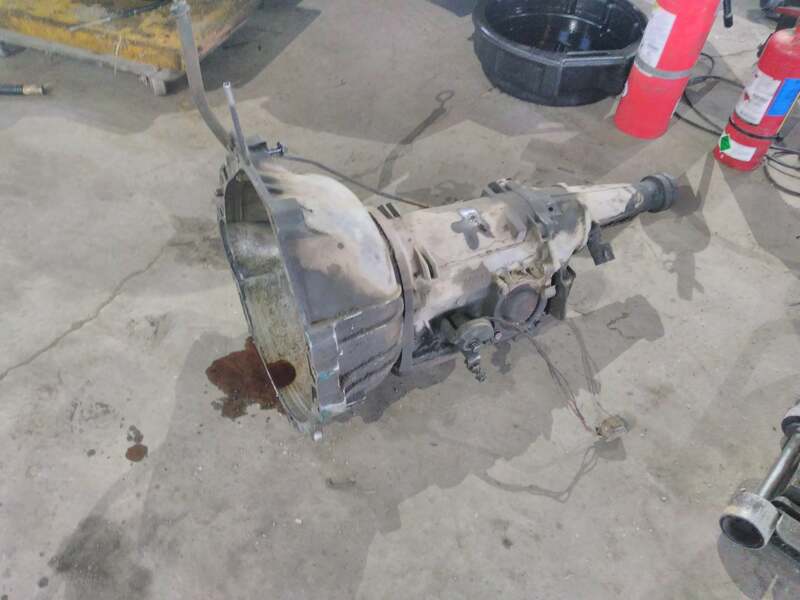 $160 got my a T5 transmission out of an SN95 Mustang (this is important later) with the appropriate 3.8 liter V6 bellhousing, flywheel, and clutch all delivered in the back of a rusty Honda Accord. I was quite surprised how small this trans is. It’s rather the compact thing and is light enough for a single person to carry it. For those not familiar, this is the chosen victim. 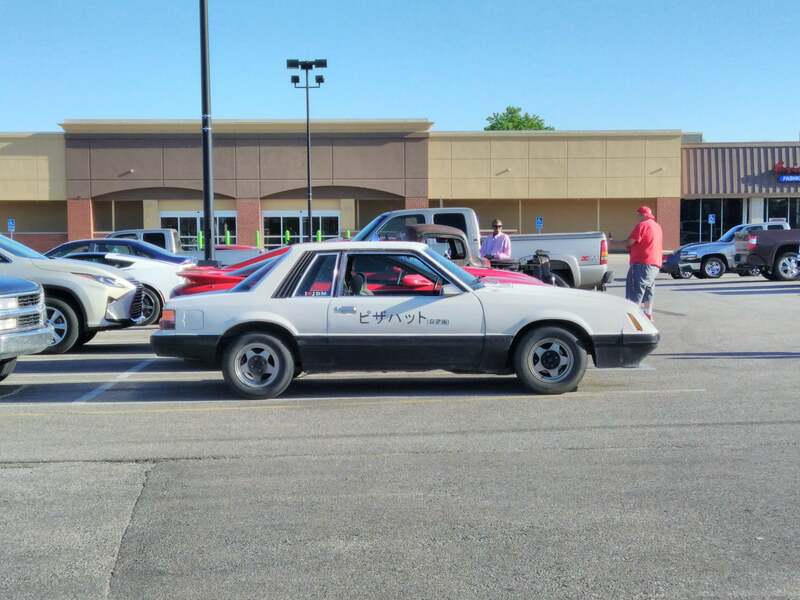 My 1986 notchback “four-eye” Mustang LX. With a 3-speed automatic and a throttle-body-injected 3.8 liter V6 from the dark days of the Malaise era this is no drag strip dominator, nor is the live rear axle and sloppy four-link suspension going to result in an autocross cone killer any time soon either. Clearly, something must be done to liven it up. 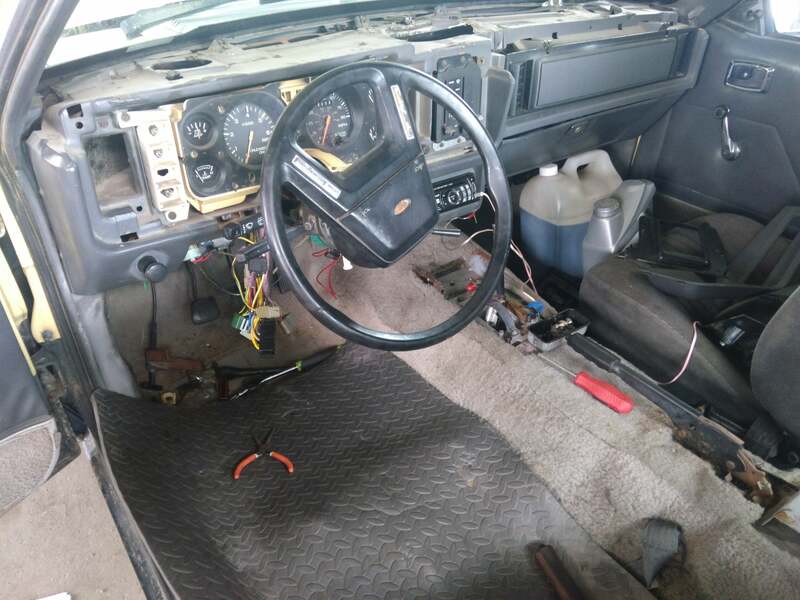 Drop the steering column, realize it’s hanging up on all of the car’s super-rigged wiring for the stereo, destroy half of the wiring and then remove the column. 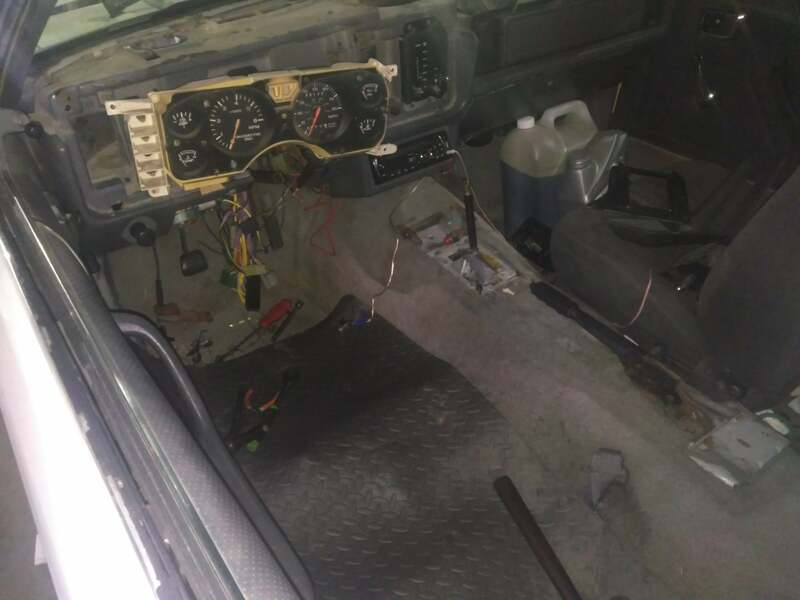 Four bolts under the dash and then a whole bunch of 30 year old plastic connectors that I attempted to gently remove at first and then began hitting with a hammer and chisel. Swollen plastic. Never again. 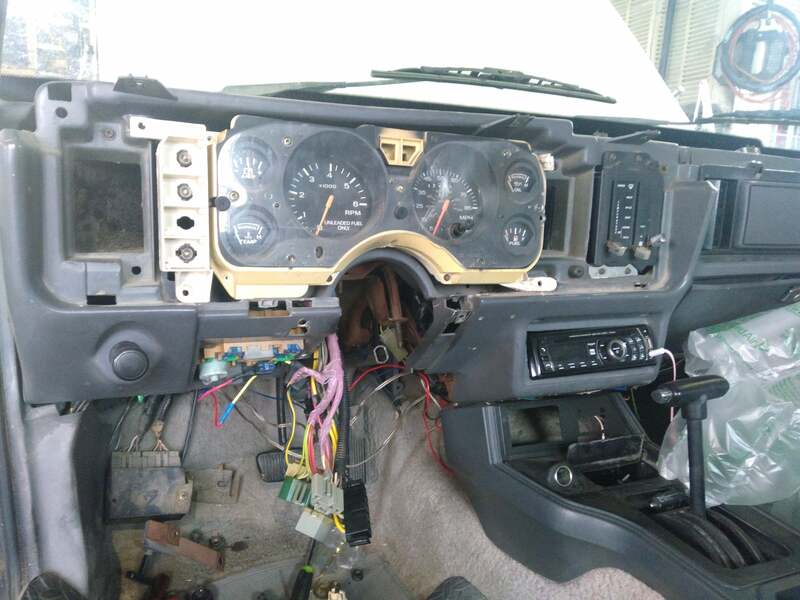 Upper dash must be removed and the gauge cluster pulled out so the speedometer cable can be pulled out into the engine bay. 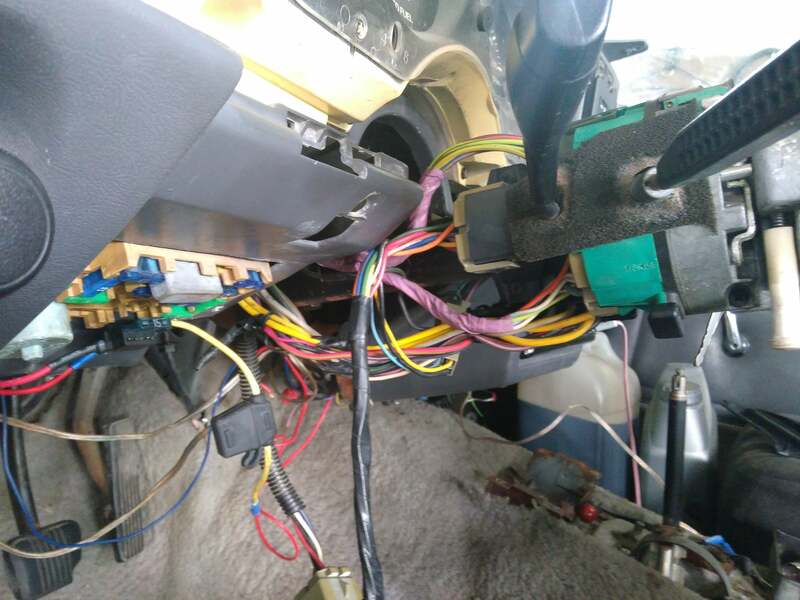 The grommet the speedo cable passes through on automatic cars is where the clutch cable has to go so it needs to be re-routed. 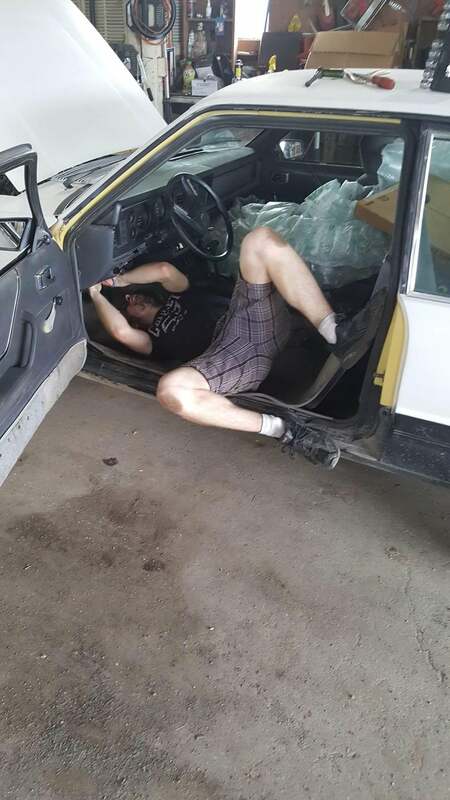 A long extension assists with getting four bolts on the firewall free and then you find someone with more upper body strength to wiggle the pedalbox out of the car. 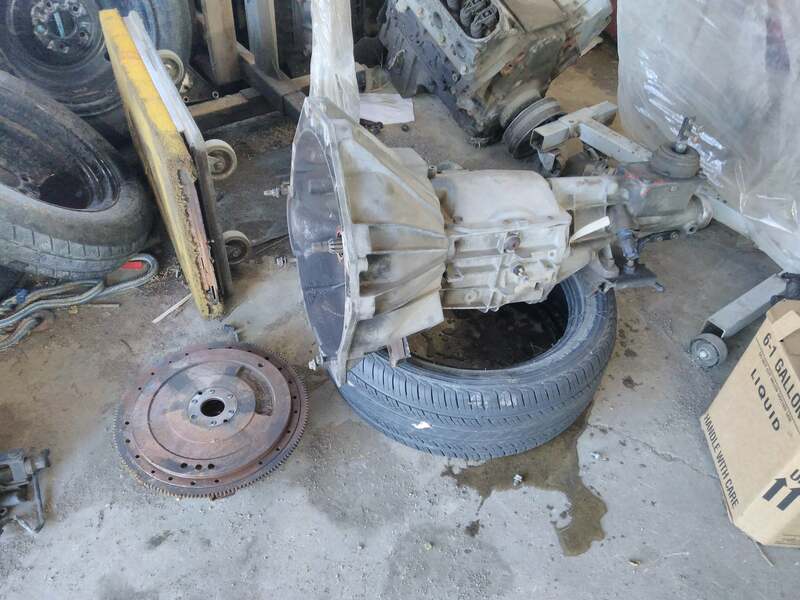 Luckily Ford seems to do a decent job of making things come apart easily. Most of the time. Which is good because there is quite a lot that needs to come out. 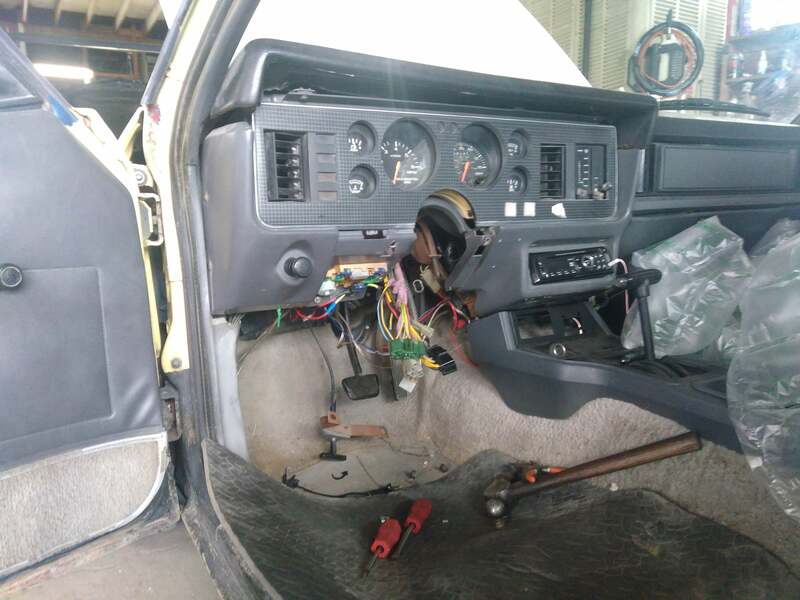 Once the pedals are back in it only took a half hour or so to get the steering column back together and in the car, after which I checked to make sure all the relevant electronics and switchgear still worked. 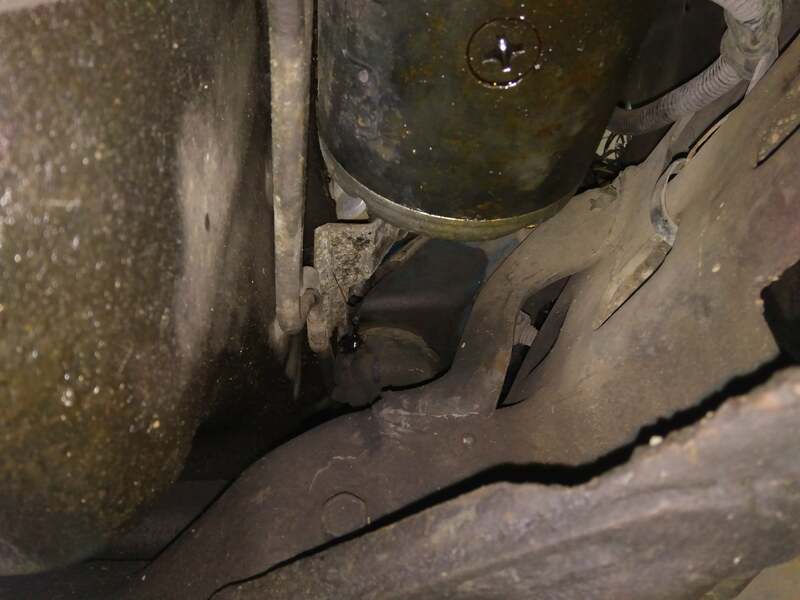 I also found a bolt in the steering column on the underside that has the head in the center that attaches a large chunk of plastic that holds the tilt mechanism to the metal column. 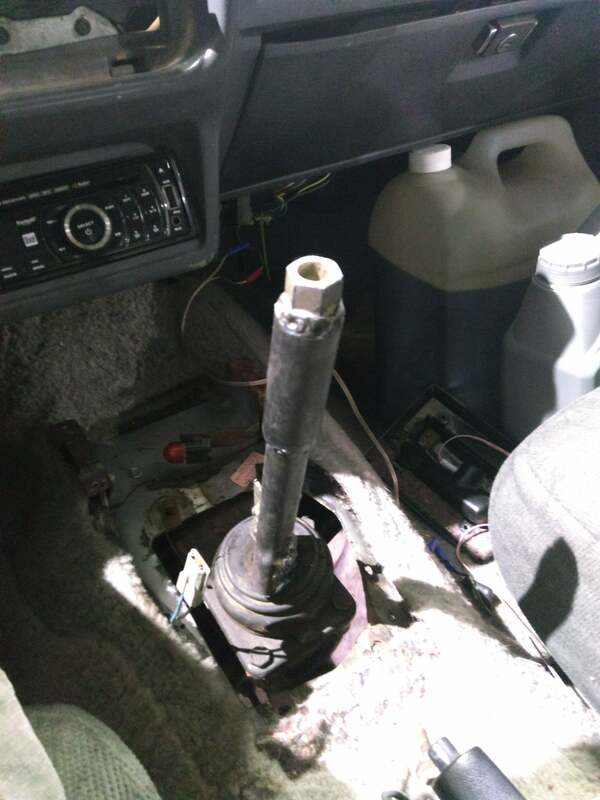 I noticed the whole steering assembly was wiggling at that point so I got an open-ended wrench and tightened it an eighth of a turn at a time until I got it tight. Boom. No more bouncing steering wheel. Unfortunately I forgot to take pictures of this. Four nuts later and the column is back in the car All of the plugs go back in far easier than they came out. Suddenly boom the car is on a lift. And honestly for a 30 year old car that spent years sitting in a field in Kansas this is pretty impressively free of major rust. There is quite a lot of oil though. 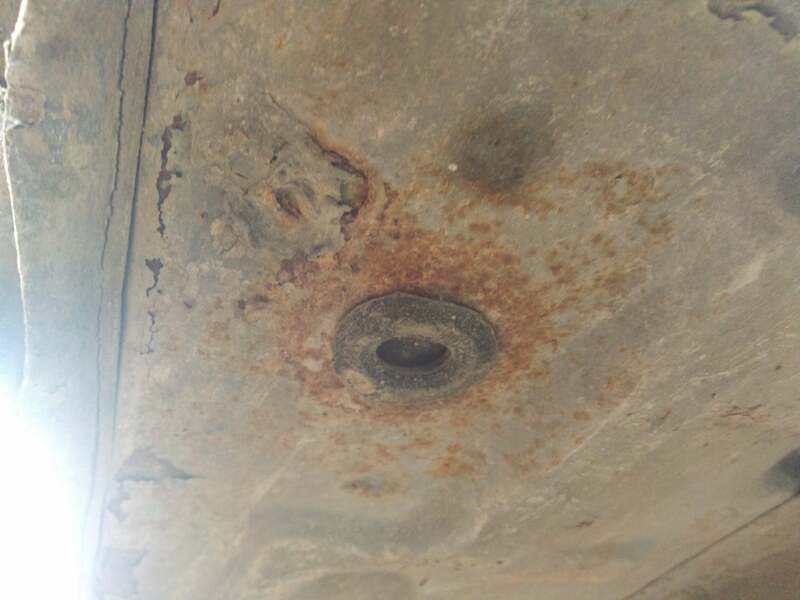 This was the only “real” rust in the whole undercarriage, and this wasn’t even soft just some surface rust around this drain plug thing. Fabulous. 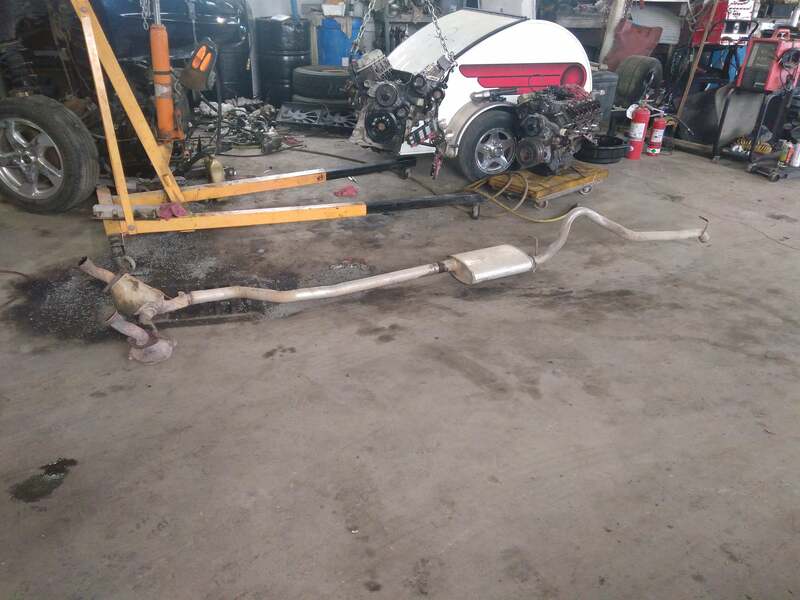 We jacked up the engine enough to get the bolt and wrestled the exhaust out in one piece, which is probably good because there isn’t really anywhere it can come apart (don’t even bother with the slip fittings, that magic isn’t happening). 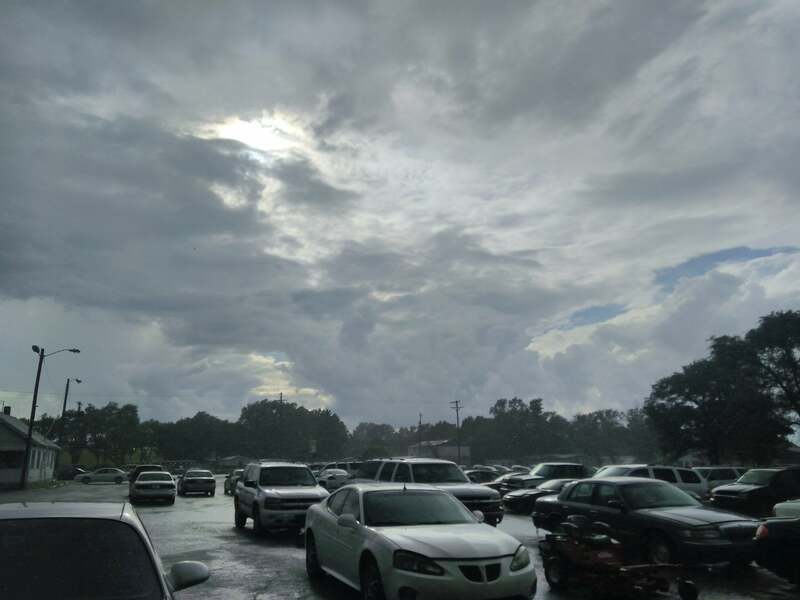 At this point the sun started peeking through the rainclouds so I took a moment to appreciate how incredibly humid it was and wipe the sweat off my brow, replacing it with a nice streak of black gunk. Spent the next few hours undoing impossible to get to bolts and spilling ATF everywhere. Eventually you’ll be rewarded with an absurdly heavy lump of metal. Climb back into the car and angrily unbolt the automatic shifter and throw it at the wall as hard as possible. Ponder why it didn’t so much as crack and reevaluate your thoughts on 80s plastics durability. 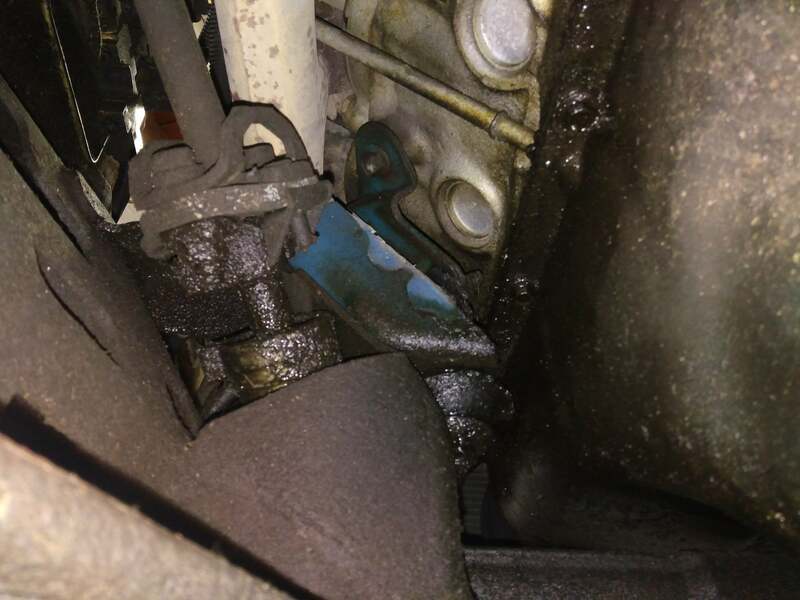 Spend 5 years jiggling the transmission around trying to get it to slip through the clutch into the pilot bearing and then realize the stupid debris shield thing has slipped slightly and is blocking the trans. Cry deeply and start bolting up the bellhousing again. Spend two years trying to fit the 1986 starter into a 1995 bellhousing before realizing no idiot that won’t work you need a ‘95 starter. Wonder what parts stores are open at 11pm before realizing the only store open is an Autozone that gets robbed biweekly in the part of town that people usually go to great lengths to avoid. 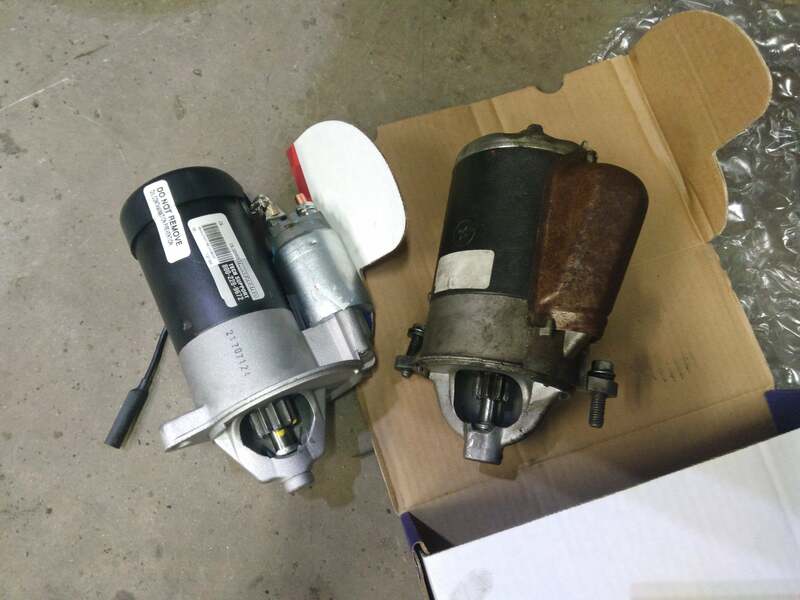 Realize your Miata doesn’t have enough room for the amount of guns necessary for defense, steel your nerves, and clown-car your happy asses to Autozone to fork over far too much money for a Duralast starter with a lifetime warranty which is immediately voided by hacking up the wiring to make it work with the existing external solenoid. Another thing I forgot to take pictures of was the trans mount. 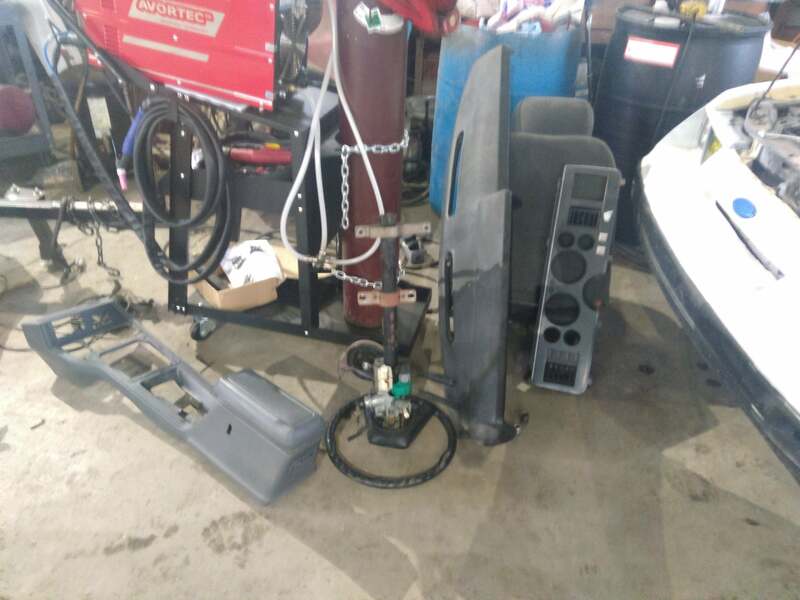 Every tutorial for this mentions having to cut and weld stuff. It’s not necessary. 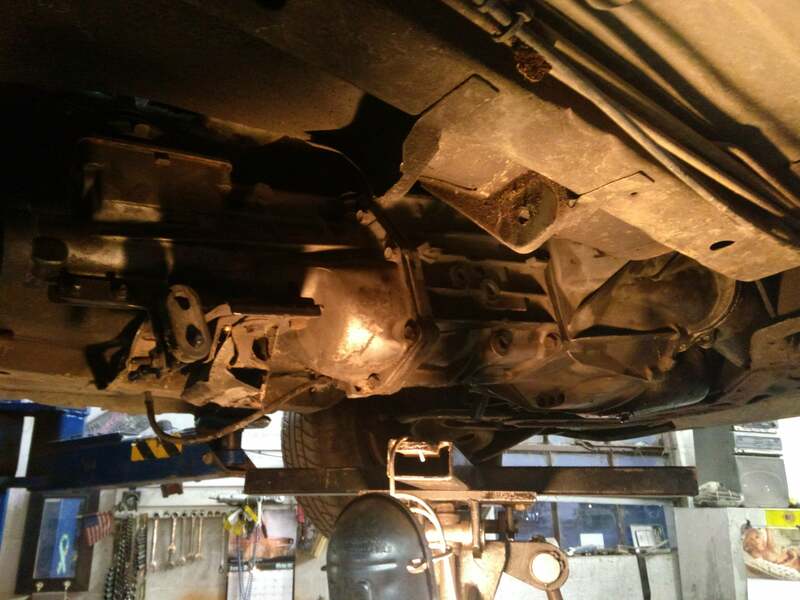 The crossbrace can remain completely stock but you will notice that it is 2-3 inches forward of where the mount on the transmission is. Luckily my manual had a plate with two sets of holes where the upper part of the mount bolts to. Simply unbolt the rubber mount (which has two studs facing downward that sit in the crossbrace) and slide it forward and bolt it to the forward set of bolt holes. Boom. It all lines up brilliantly. 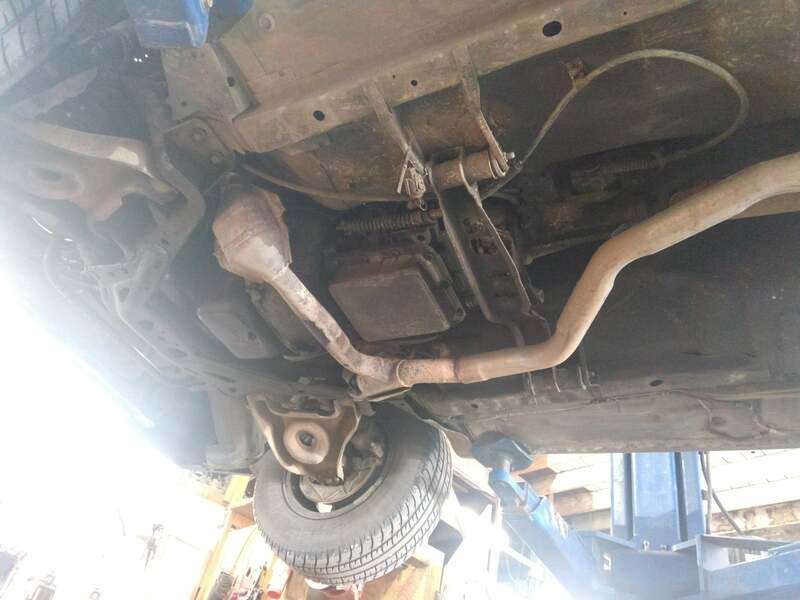 Once the trans was mounted up we noticed that the shift fork was rubbing on the exhaust a bit, so another several hours was spent using all manner of tools to provide clearance before the car could be taken on a test drive. Once that was finished and deemed adequate the finishing touch was added. Store bought shifters are lame. So how was it? 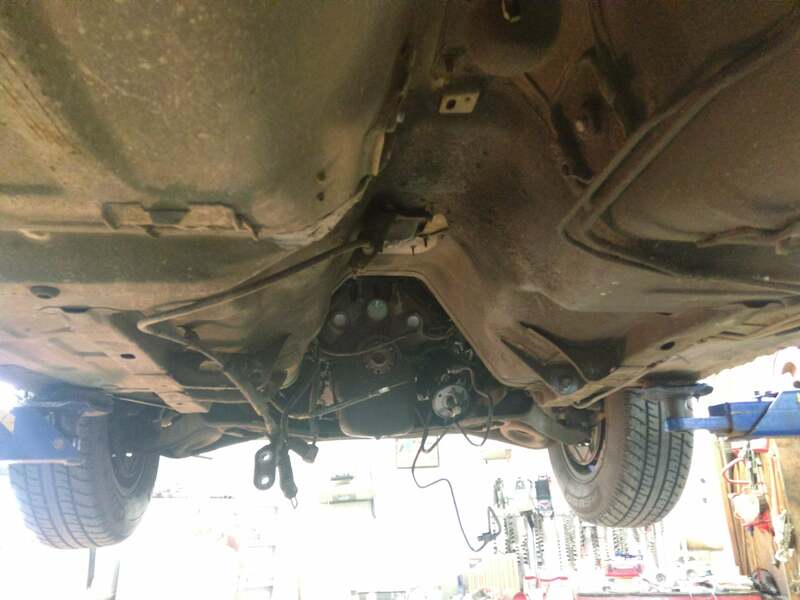 Well, at first the car wouldn’t pull itself until I figured out how to use the self-adjusting clutch pedal (pull up on the pedal with your toe), and then the clutch would engage properly and I could back out of the garage. The huge hole in the center console where a shift boot could be let in all manner of fun noises from the engine bay but the car shifted through all the relavent gears impressively smoothly and I was even able to competently heel-toe downshift it my first few tries. The speedometer is wildly inaccurate but at roughly 80mph the car is doing about 1900rpm and pulls much harder than it used to in first gear. The clutch, while heavy due to being cable-actuated, is incredibly forgiving and the car as a whole is very easy to drive and feels very solid now with the repaired steering column. 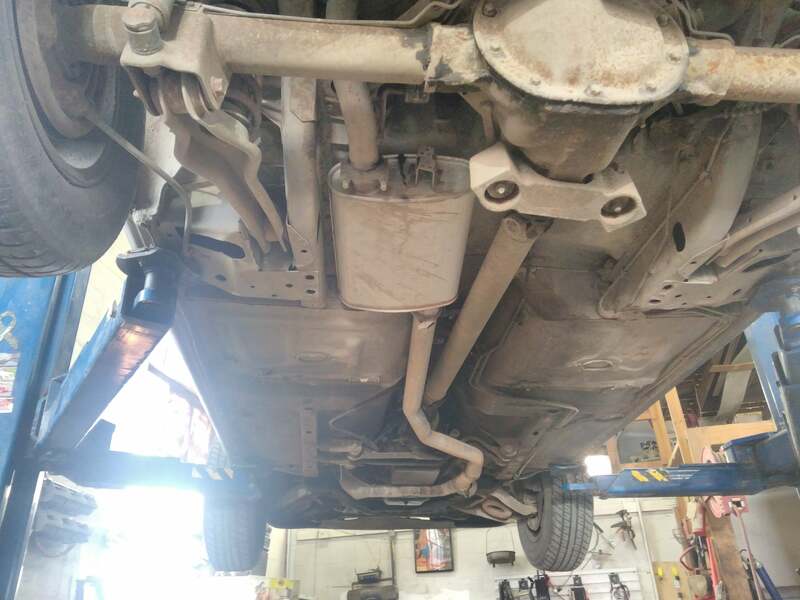 Next up: DIY panhard bar.